Yoga and goats are not things you’d think would go together. 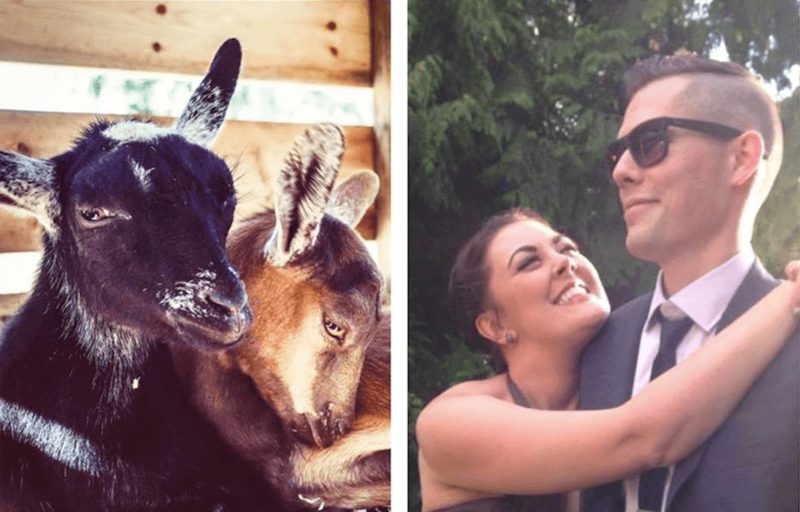 But surprisingly, goat yoga is becoming a hit in the Lower Mainland, thanks to Nicole Roy. Roy teaches Pilates and fitness classes at Kushala Yoga in Port Moody. She got the idea of including goats into her practice from her friend Kenneth Ku. “My friend Kenneth has a small goat farm in Langley. He heard about a woman in Oregon who offers Goat Yoga on her farm. Kenneth asked me if I was interested in teaching Goat Yoga and I said, ‘Yes! '” Roy told Daily Hive Vancouver. But Roy’s goat yoga sessions are backed by a good cause. She has decided to turn the event into a fundraiser after discovering that her student, Kendra Hart, had a brother battling cancer. Kendra’s brother, Taylor, is just 27 years old. He was diagnosed with Stage 4 gastric cancer in 2015. Chemotherapy has not worked for Taylor and his parents are trying desperately to get him immunotherapy treatments, which are not covered by medical insurance. 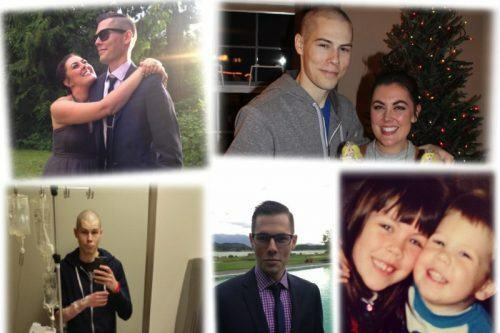 “Coincidentally, later that week, Kendra approached me after class about her brother Taylor. She told me about the GoFundMe page she had created for her brother and asked if I would share it with my contacts,” said Roy. Roy has organized a goat yoga class to take place on Monday, October 10 and she is hoping to bring in more donations. Roy’s friend Kenneth Yu has offered his farm as studio space. Roy will lead the yoga class as goats meander around participants, making for a very unique experience for a great cause. “Everyone I have shared the event with seems very excited about it. Taylor’s story has touched a lot of people,” said Roy. Anyone is welcome to join in on the goat yoga class. All proceeds will be going to help Taylor reach the fundraising goal for his treatment. Cost: By donation. Whatever you can contribute to the class will be put towards Taylor’s immunotherapy treatment fund.